MahJongg Solitaire for both Windows and Mac OS X. Last month, just before I attended Meaningful Play 2010, Goodsol Development continued its intense autumn release schedule, publishing updates to its award-winning MahJongg Solitaire game, Pretty Good MahJongg, for both the Windows and Mac OS X platforms. 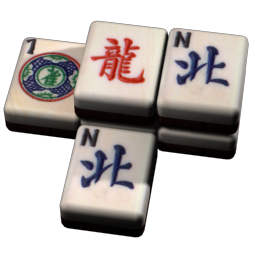 Pretty Good MahJongg 2.40 [for Windows] adds five more tile matching layouts, for a total of 300 layouts, plus the ability to have the program minimize to an icon in the task bar (a.k.a., “tray”) with just a keystroke. Pretty Good MahJongg Mac Edition 2.00 includes 32 original solitaire games, and it adds 23 puzzle games, as well as 140 more tile matching layouts, bringing the Mac OS X version up to the same number of games and layouts as the Windows version (which turned 8 years old in October). Download a trial version of PGMJ for Windows or PGMJME for Mac OS X now, or buy it today for only $24.95 (plus an optional $7.50 if you want it on CD). This entry was posted in Products and tagged game, Mac, MahJongg, Solitaire, Windows by Gregg. Bookmark the permalink.